“Stay where you are. Find your own Calcutta. Find the sick, the suffering and the lonely right there where you are — in your own homes and in your own families, in your workplaces and in your schools. … You can find Calcutta all over the world, if you have the eyes to see. 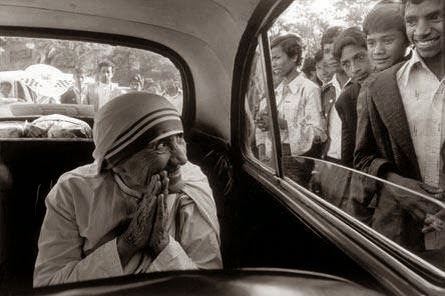 Everywhere, wherever you go, you find people who are unwanted, unloved, uncared for, just rejected by society — completely forgotten, completely left alone.” - Mother Teresa during her visit to Calcutta, India in 1929.